Nutrition Archives - Welcome to PT2Go! Nutrition Archives - Welcome to PT2Go! A calorie is a calorie is a calorie. This is a notion that America has been taught to believe, allowing consumers the freedom to trust that any food from the supermarket or restaurant has a place in our diet- as long as we manage to balance calories in with calories out. And yes- it’s true. If we can balance calories, weight will not increase. So why has it become so difficult to maintain a healthy weight? Consider that 1) a significant increase in added sugars has seeped into the U.S. food supply since the 1970s; and 2) the way that sugar affects our brain and eating behaviors is unlike any other food particle we consume. Americans doubled their intake of sugar by 2000 and 80% of products available in the supermarket now contain added sugar . What we lacked was an understanding of how sugar hijacks the brain’s ability to recognize satiety leading to an overall increase in total calorie consumption. Comprehending how added sugars are processed for energy helps explain why calories from different foods have varying impacts on fat storage and appetite. Consider 150 calories from an apple versus 150 calories from apple juice. When you eat an apple, the fiber allows the sugar to gradually absorb into the bloodstream. Insulin is steadily released and glucose is taken into cells where it is used for energy. However, unlike an apple, apple juice lacks fiber. So instead of a gradual release, the bloodstream is bombarded with sugar. Insulin rises quickly, telling the liver to convert the sugar into fat for storage [5,6]. That newly formed fat is released into the bloodstream, blocking the effect of the satiety hormone, leptin . The result? The brain tells you to eat more. Furthermore, insulin spikes lead to blood sugar crashes, advancing the signal to the brain that you need to more food. These processes combine to induce lethargy and hunger that contributes to more eating, less physical activity, more fat formation, and overall weight gain . In short- the calories in the apple lead to satiety and energy while the calories from the apple juice lead to hunger and lethargy- all due to the way sugar is metabolized. The American Heart Association recommends just 6 grams of added sugar per day for women and 9 grams for men . The average American consumes 80 grams of sugar per day  while a 12 ounce can of regular soda contains 32 grams of sugar . Offering perspective as to how much added sugar we consume can help patients gain awareness and motivate them to make a change. For an effective visual, fill empty bottles of soda, juice and a sports drink with the number of teaspoons of sugar they contain (1 gram= 4 teaspoons). Patients will be surprised at how much sugar they are drinking when they see it presented in this way. All sugars are processed the same way. White bread, white rice, and potatoes are no different than other types of sugar. Purchasing whole grain products keep the fiber intact so that the sugar is absorbed more gradually. Added sugars go by many different names, yet they are all a source of extra calories. 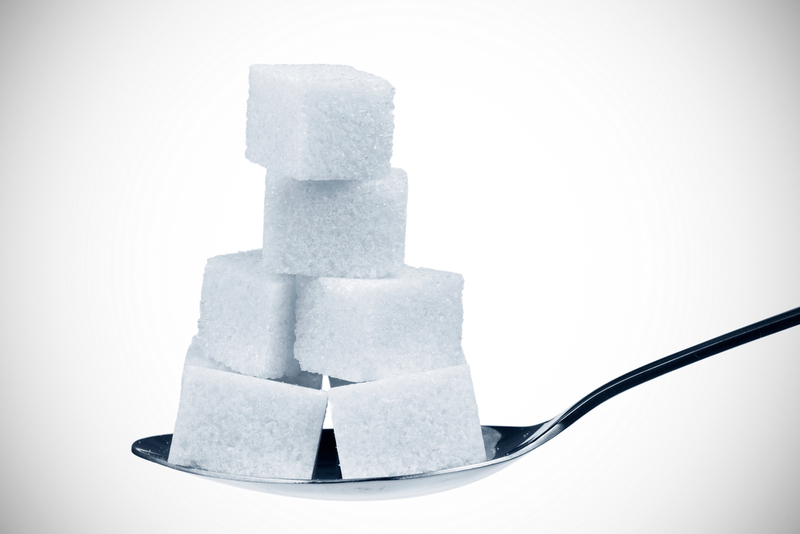 Click here for a list of added sugars that doubles as a handout for patients. Just as our palates have been conditioned to crave sugar, they can be conditioned to crave it less . Coffee drinkers can train their palate by gradually decreasing the number of sugars while soda drinkers can start by diluting them with water. The link between sugar consumption and chronic disease is not a new concept. In fact, more than 8,000 scientific papers have been published on the health effects of added sugars . By investing a few minutes to discuss their importance, you play a key role in drastically improving patients’ overall health and well-being. Newman, Cathy. 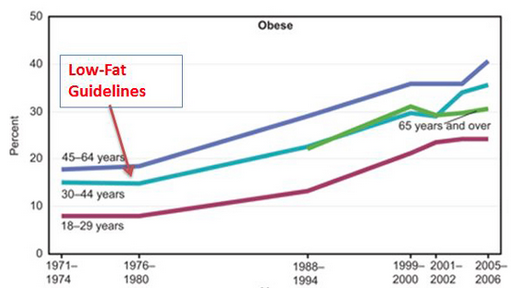 “Why are we so fat.” National Geographic 206.2 (2004): 46-62. Written By Ms. Jenna Larsen, M.S. In the United States, a society that can be overly satiated with consumer information, we’ve made healthy eating complicated. As a nutrition education professional working in the public health sector in New York City, I’ve learned that the most effective methods for delivering nutrition education to the community is to shift language away from weight loss and highlight the benefits of healthy eating. Goals need to be clearly delineated with the limited amount of time providers have with patients. 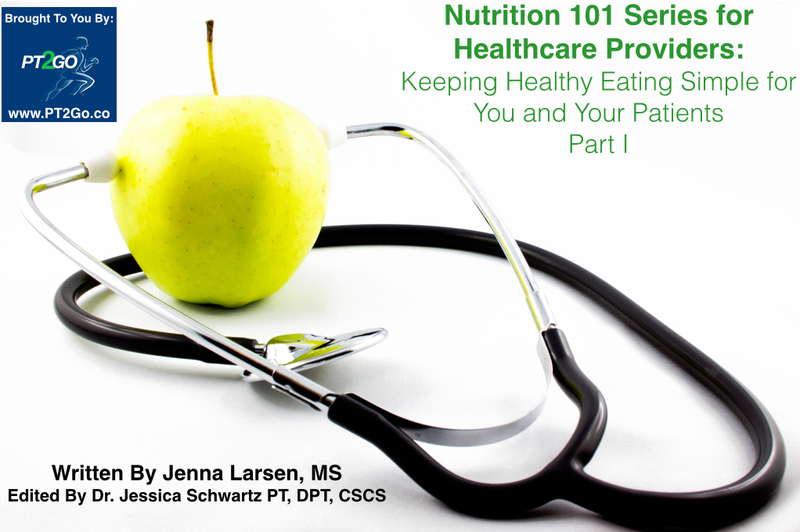 When speaking with patients, gently introducing nutritional concepts in a digestible format can make healthy eating fun and accessible. I challenge you to move away from directly discussing weight loss and facilitate open ended conversation. This shouldn’t take more than 3 minutes of an office visit. 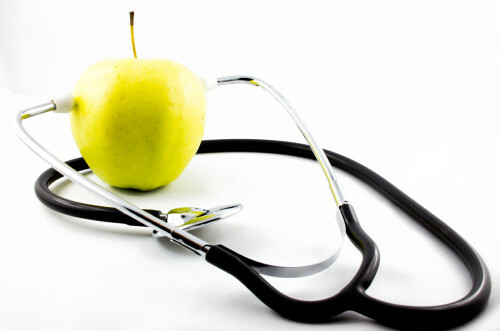 Keeping time constraints in mind, you should be able to quickly assess if your patient is eating primarily a whole food, fast food, or processed food diet. This is a great segway to engage mutual conversation and ask your patient what their barriers are to healthy eating? (time, cost, lack of cooking skills, education) and gently facilitate the thought process of how eating healthy can benefit their life. I’ve found that high yield language delivery can be as simple as educating communities with the following points*. 1. Choose more whole foods. A whole food has NOTHING added and NOTHING taken away from how it was found in nature. 2. To determine if a food is more whole, focus on the ingredients list instead of specific nutrients on a label. Choose foods that have the fewest ingredients. This removes confusion associated with marketing and labeling language found in supermarkets. Better yet- choose foods without a label (i.e. fruits and vegetables). 3. View food choices on a spectrum – the most whole foods on one end and the most processed on the other- rather than focusing on whether a food is ‘good’ or ‘bad’. Starting with short-term achievable goals, will be easier and more realistic for patients to turn healthy eating into a habit. 4. Taste buds will change and you’ll learn to like fruits and vegetables. Help patients understand that they will truly enjoy the experience of eating healthy, although perhaps not right away. They will feel more energized as they incorporate more whole foods into their diet. Have patients set one goal for themselves to address at the follow up**. This will range depending on the patient, but it should be something they view as feasible. Encourage them to keep a journal. 1. Try three new fruits or vegetables you don’t normally eat. 2. Drink fewer sugary drinks and more water. Carrying a water bottle will help. 3. Replace at least one snack with a fruit or vegetable each day. 4. Cook at home at least twice per week. Encourage friends and family- including children- to cook with you. 5. Make a salad for lunch at least one day per week. It is important provide easily accessible and reliable resources to help patients address barriers. If you work with low-income families, encourage them to check eligibility for SNAP (Supplemental Nutrition Assistance Program), or food stamps, and provide them an avenue for signing up. Just Say Yes to Fruits and Vegetables (JSY) ***, a USDA-funded program, features valuable money-saving tips that can provide excellent talking points in a discussion where cost barriers are almost certain to surface. Over 200 fruits and vegetable recipes are the highlight of the website and are featured in both English and Spanish. All recipes are simple with few ingredients, low-cost, and easy to prepare. They also offer valuable storage and preparation tips. Print some to offer as a resource. Make a few recipes yourself to provide a personal recommendation. If you are be excited about healthy eating, your patients will be too! *Please note that these messages may require tweaking for certain patient populations, such as those with involved medical problems. ***Just Say Yes to Fruits and Vegetables (JSY) is one of New York State’s premiere nutrition education services available to low income families. JSY is a nutrition education initiative designed to prevent overweight/obesity and reduce long term chronic disease risks through the promotion of increased fruit and vegetable consumption. As Traumatic Brain Injuries (TBIs) continue to lead to a third of all injury-related deaths in the United States each year, researchers remain at a loss for a drug to treat them. The fact that brain injuries vary depending upon the location, type, intensity, and duration of force make them difficult to study and an even bigger challenge for the healthcare practitioner making recommendations for appropriate care. The concept that the brain is an impressionable organ affected by its environment is finally gaining acceptance. Much remains to be discovered, but nutrition as a preventive intervention is a practical and safe proposal. 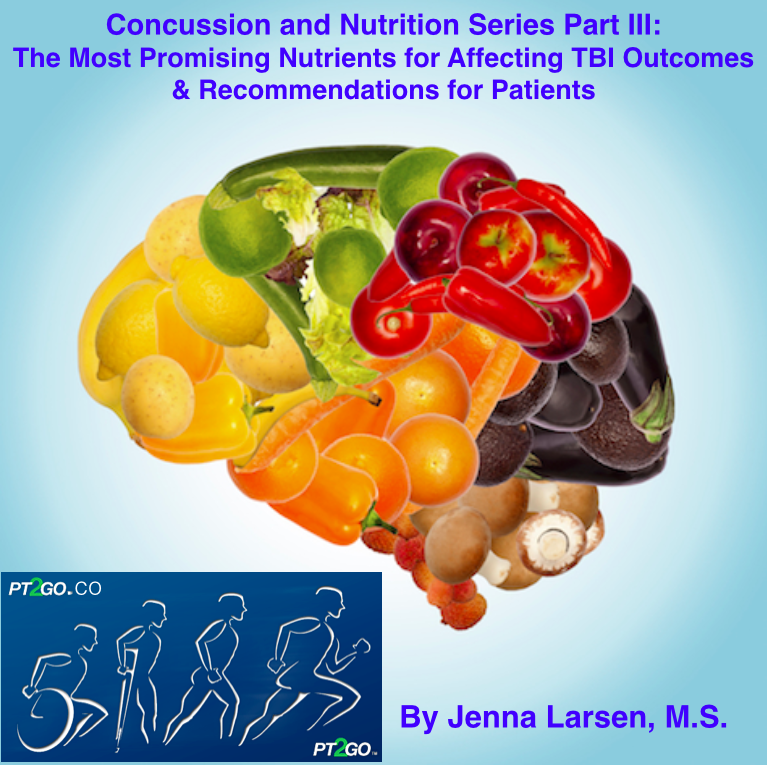 The ability of nutrients to interact with a variety of physiological processes associated with TBI suggests that including nutritional approaches as a complementary therapy when managing a brain injury could be beneficial. In 2011, the Institute of Medicine (IOM) published a report entitled Nutrition and Traumatic Brain Injury: Improving Acute and Subacute Health Outcomes in Military Personnel. In the report, the committee cites the most promising connections between specific nutrients and TBI. Nutrients are suggested based on the evidence behind their ability to affect physiological processes involved in TBI. Those nutrients deemed most likely to be effective target four main mechanisms- decreasing brain swelling, decreasing inflammation and oxidation, decreasing cell death and increasing energy production. Choline, creatine*, omega-3 fats, zinc, magnesium and Vitamin D were identified as the most promising nutritional interventions, although more research is warranted. 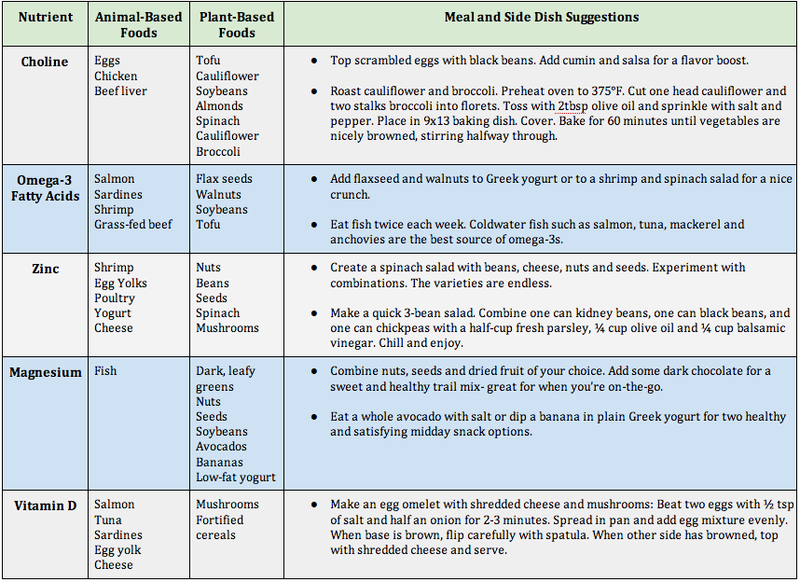 Table 1 below explains their modes of action, foods highest in nutrient density, and an easy way to prepare a dish high in them. I encourage you to share this with your patients and colleagues. Should TBI patients be supplementing or are food sources better? There is a double edged sword when conducting studies as supplementation is necessary for researchers to separate the nutrient of interest from the other nutrients in food. However, it can lead the public to assume that supplementation will be effective for their health. When considering the connection between brain injuries and nutrition, it is helpful to separate acute versus long term symptomatic events. Supplementation may be beneficial to improve treatment outcomes immediately after the injury as a high turnover of nutrients required. However, for those most at risk for traumatic brain injuries (i.e. athletes, motor vehicle accident survivors, etc) and for those that experience long-term symptoms, whole foods such as fruits, vegetables, nuts, fish and legumes may be a better option for acquiring resilience. We have to also be cognoscente and connected to our patients that have no intention or ability to eat well. A supplement may be indicated, but it should be emphasized that it won’t replace the enhanced benefits they’ll get from whole foods. Our bodies evolved to respond to whole foods and all of the benefits they have to offer- not just one specific nutrient. Prescribing them offers not only fiber, energy, satiety but also the brain-boosting effects of so many other vitamins, minerals and protective substances (see Evidence Behind Flavonoids and Their Role in Anti-Inflammatory Foods) that are missing in a supplement. *Creatine is created in our bodies and there are few foods that contain it. Therefore, they are not listed on the chart. Supplementation may be beneficial immediately after injury and requires further scientific investigation. 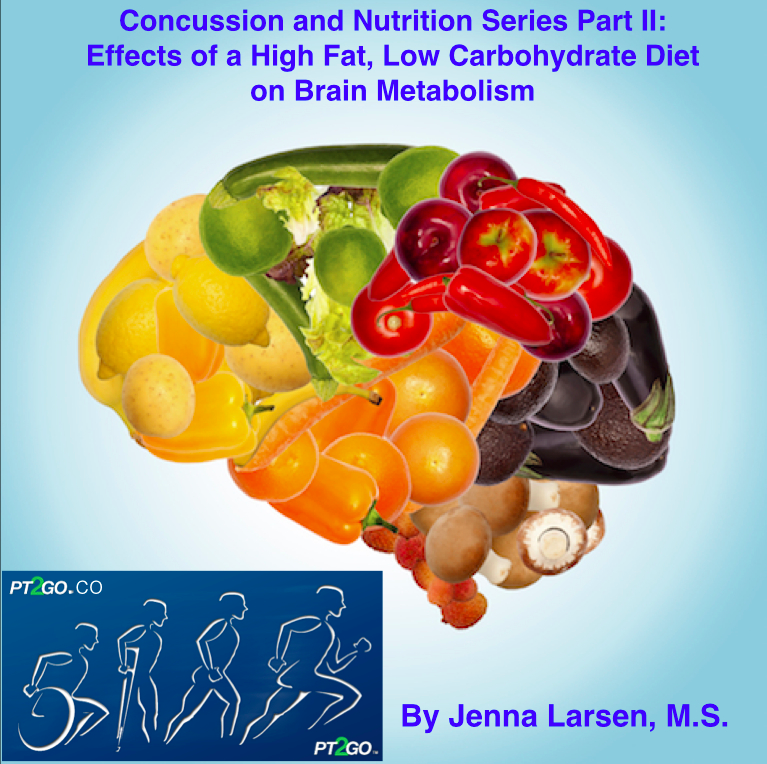 With respect to nutrition and concussion, there isn’t concrete evidence that there is one type of diet or panacea to aide with concussion symptoms due to the multi-system nature of this injury. The intention behind this article is not to propose that you, as a healthcare provider, prescribe a defined diet to concussion patients or even to recommend it as an alternative therapy. Simply, it is to encourage you to consider the evidence behind the idea that (1) what we eat affects the body; and (2) nutrition may be more powerful in healing than many of us have been taught to believe. What is it? Who is it prescribed for? And why has this prescribed diet continually intrigued me as it correlates to concussion patients. The ketogenic diet was developed to mimic starvation and has been used and studied for almost an entire century . It is a high-fat diet in which carbohydrates are all but eliminated (less than 50g per day). For reference, there are 27g of carbohydrates in a banana. It is presently most commonly used to control epileptic seizures especially in children [1-3]. More recently, researchers have some evidence that the diet may be effective for improving traumatic brain injury (TBI) outcomes as well . Let’s take a look at how the ketogenic diet works. The brain craves carbohydrates. Whenever they are available, the brain will use them for energy- before breaking down fats and certainly before breaking down protein. When a patient is on a ketogenic diet, carbohydrates aren’t available. The brain settles and breaks down fats instead, converting triglycerides into fatty acids and ketone bodies– the ketone bodies are then used to make ATP and fuel the brain cells. In fact, they may even be a more efficient source of energy than glucose . But how might this translate to protecting the brain? Ketone bodies were found to prevent neuron cell death in a variety of studies through many different mechanisms . Most of them used animal models so the effectiveness in humans requires more investigation. However, ketogenic diets are highly effective in treating epilepsy , so we do know that the brain is most certainly affected by the diet. We also know that processes in TBI associated neuronal death include energy (ATP) depletion, reactive oxygen species (ROS) production, and inflammation. Since ketone bodies are an alternative source of energy, they are thought to lessen the harmful effects of energy depletion that occur with injury. Multiple studies have shed light on their ability to increase the cell’s resistance to oxidation, inflammation and programmed cell death [5-10]. One caveat is that the diet may be more effective in children – adherence is easier and younger brains are better at transporting and utilizing ketone bodies [11-13]. If the ketogenic diet has so much fat, you may be wondering about health-related consequences. Over the long term, it was actually found to decrease the level of triglycerides and LDL cholesterol while increasing HDL cholesterol. On the contrary, gastrointestinal disturbances are common and children on the diet may be at slightly higher risk for stunted growth, bone fractures and kidney stones. Supplements are prescribed by a medical professional to counter deficient micronutrients . There are a lot of unknown variables with respect to this diet in humans living with TBI. Do short periods on the diet lead to long-term benefits or are the effects reversible? Should the diet be administered right after the injury? What time window is most effective? Are low glucose levels necessary or could you administer ketone bodies without the need to restrict carbohydrates? A better understanding might provide insights into therapeutic approaches that eliminate the need for strict adherence to diet that is difficult to maintain. Ideally, the ketogenic diet could inform scientists developing a drug that is effective in treating TBI. Presently, the best course of action a healthcare professional can take with regards to nutrition is to prescribe patients with TBI an increased intake of fruits and vegetables in conjunction with their present course of treatment. Fruits and vegetables are full of flavonoids and antioxidants which have been found to have positive impacts on concussion outcomes and are a more feasible alternative to carbohydrate restriction. 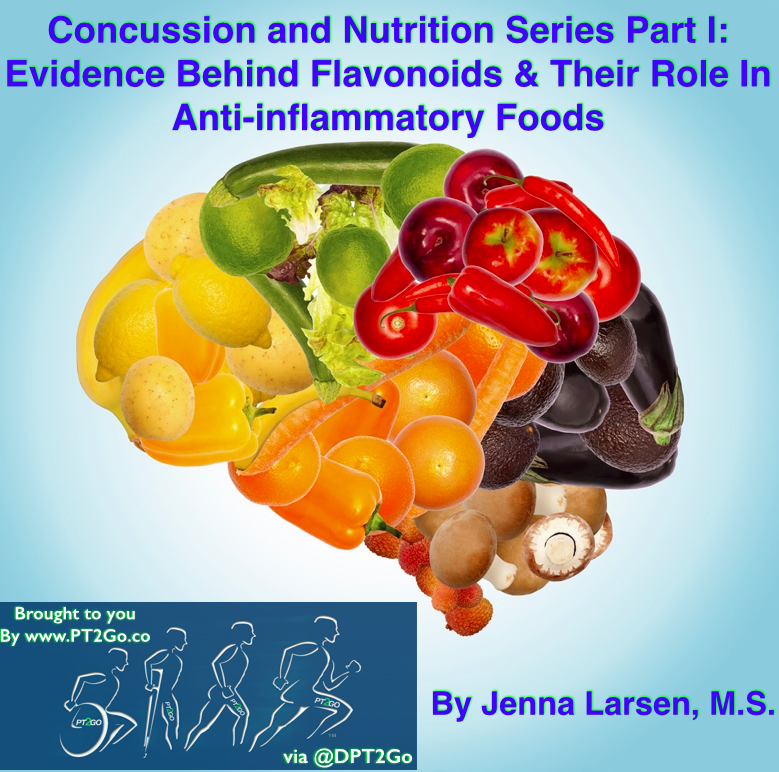 See Concussion and Nutrition Series Part I: Evidence Behind Flavonoids and Their Role in Anti-Inflammatory Foods for a comprehensive review. 3. Neal EG1, Chaffe H, Schwartz RH, et al. The ketogenic diet for the treatment of childhood epilepsy: a randomised controlled trial.Lancet Neurol. 2008 Jun;7(6):500-6. 4. Veech RL. The therapeutic implications of ketone bodies: the effects of ketone bodies in pathological conditions: ketosis, ketogenic diet, redox states, insulin resistance, and mitochondrial metabolism. Prostaglandins Leukot Essent Fatty Acids. 2004;70:309–319. 5. Ziegler DR, Ribeiro LC, Hagenn M, Siqueira IR, Araujo E, Torres IL, et al. Ketogenic diet increases glutathione peroxidase activity in rat hippocampus. Neurochem Res. 2003;28:1793–1797. 6. Sullivan PG, Rippy NA, Dorenbos K, Concepcion RC, Agarwal AK, Rho JM. The ketogenic diet increases mitochondrial uncoupling protein levels and activity. Ann Neurol. 2004;55:576–580. 7. Stamp LK, James MJ, Cleland LG. Diet and rheumatoid arthritis: a review of the literature. Semin Arthritis Rheum. 2005;35:77–94. 8. Cullingford TE. The ketogenic diet; fatty acids, fatty acid-activated receptors and neurological disorders. Prostaglandins Leukot Essent Fatty Acids. 2004;70:253–264. 9. Hu ZG, Wang HD, Qiao L et al. The protective effect of the ketogenic diet on traumatic brain injury-induced cell death in juvenile rats.Brain Inj. 2009 May;23(5):459-65. 10. Rafiki A, Boulland JL, Halestrap AP, Ottersen OP, Bergersen L. Highly differential expression of the monocarboxylate transporters MCT2 and MCT4 in the developing rat brain. Neuroscience. 2003;122:677–688. 11. Vannucci SJ, Simpson IA. Developmental switch in brain nutrient transporter expression in the rat. Am J Physiol Endocrinol Metab. 2003;285:E1127–E1134. 12. Pierre K, Pellerin L. Monocarboxylate transporters in the central nervous system: distribution, regulation and function. J Neurochem. 2005;94:1–14. 13. 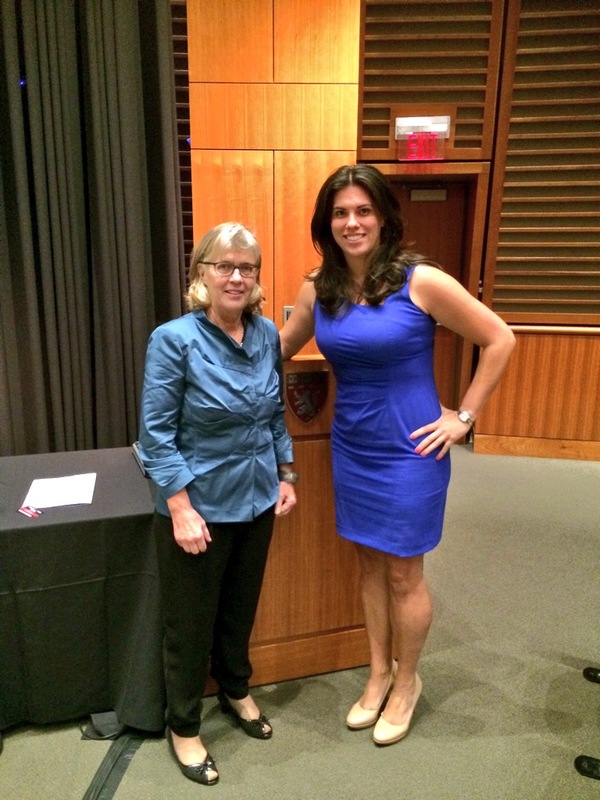 Duchowny MS. Food for Thought: The Ketogenic Diet and Adverse Effects in Children. Epilepsy Curr. Jul 2005; 5(4): 152–154. When you visualize concussion treatment, what comes to mind? Physical rest? Cognitive rest? Pain relievers? Limitations in physical and social activity? Eating the right foods? I’d venture to guess that the latter is not on your list. How can a traumatic brain injury (TBI) respond to food? Visualize treatments for cardiovascular disease and diabetes. Do nutritional interventions come to mind? I’d speculate that they do. The events happening in the body after a TBI are not all that different than many other chronic diseases. The common links are oxidative damage and inflammation. There is a growing body of evidence supporting antioxidant and anti-inflammatory diets as a way to prevent complications associated with traumatic brain injuries. Let’s take a moment to understand oxidative damage and inflammation in the context of a concussion. After a TBI, an inflammatory cascade is set off as a healing mechanism. Although beneficial in the short-term, the inflammation can persist while the healing effects do not. This creates oxidative stress as too many cell-damaging free radicals lead to tissue damage and eventual cell death. In the case of a concussion, cognitive problems are common long-term complications [1,2]. Diets rich in antioxidant-rich foods may be useful approaches to promote protective mechanisms associated with TBI . There is promising research that foods high in the class of compounds called flavonoids act on the inflammatory cascade and are linked to improving cognitive performance and lowering the risk of Alzheimer’s-a brain disease with similar symptom presentation with deficits in memory and thinking skills. Flavonoids are the pigments that give fruits and vegetables their color. They are the main reason why fruits and vegetables are considered to be so healthy. There are over 4,000 compounds considered to be flavonoids. The more deeply colored the fruit or vegetable, the more flavonoids it provides. They are also abundant in garlic, teas, spices, nuts and beans. A few flavonoids that may sound familiar include quercetin (apples), resveratrol (red wine), epicatechin (cocoa), curcumin (curries), catechins and polyphenols (tea), anthocyanins (berries). 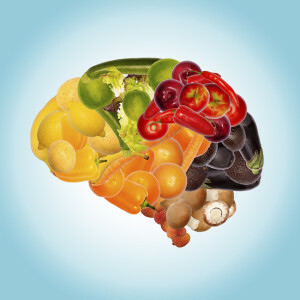 How Do Flavonoids Work in the Brain? Flavonoids are antioxidants that are also anti-inflammatory. In a human randomized controlled trial, the flavonoid resveratrol, was shown to exert anti-inflammatory and anti-oxidative stress in humans . Flavonoids, like all antioxidants, work by stopping free radicals from damaging cells, including neurons. Flavonoids are neuroprotective because of their ability to turn down inflammation and increase cognitive function via two processes. The first is by preventing the neuronal cell death that occurs during the inflammation-signaling cascade. The second is to induce the blood flow needed for new nerve cell growth to prevent or reverse loss of cognitive performance . Consuming flavonoid-rich foods has been associated with the delayed onset of Alzheimer’s disease, while some studies have linked them to improved mental function [6-9]. Although the research specifically linking brain traumas to flavonoids is at an early stage, we know that a diet rich in fruits and vegetables is invaluable for health and to prevent other inflammatory-related diseases (i.e. cardiovascular disease, diabetes, cancer). If not for the long-term, the short-term effects of eating the foods that are high in flavonoids will at the very least help the concussed patient have higher energy levels, to combat fatigue and to feel as well as possible. Since fruits and vegetables are healthy and also high in flavonoids, it should follow that flavonoids are also healthy and the more you ingest the better off you’ll be. Shouldn’t flavonoid supplements be a fool proof way to make sure that you get enough of them? It is important to consider that we don’t yet know how the body responds to the high blood levels reached all at one time when we take a supplement. Visualize how flavonoids enter the bloodstream through healthy foods eaten consistently throughout the day- the spike in the bloodstream is never reached to that same level as when a supplement is taken. It is also important to understand that fruits and vegetables have thousands of phytochemicals, many of which we have not even been identified. So taking one type of flavonoid in high quantities is unlikely to have the same health benefits as eating the whole food . There is no such thing as a ‘silver bullet’ and we have to be very careful when choosing to supplement, especially when little is known about safety, contraindications, interactions, or effectiveness. Save your money and invest in colorful, delicious, flavonoid-rich foods instead. 2. Mix fruits with yogurt or cottage cheese. 1. Johnson VE, Stewart JE, Begbie FD et al. Inflammation and white mater degeneration persist for years after a single traumatic brain injury. Brain. 2013 Jan;136(Pt 1):28-42. 2. Arciniegas DB1, Held K, Wagner P. Cognitive Impairment Following Traumatic Brain Injury.Curr Treat Options Neurol. 2002 Jan;4(1):43-57. 3. Vauzour D, Vafeiadou K, Rodriguez-Mateos A et al. The neuroprotective potential of flavonoids: a multiplicity of effects. Genes Nutr. Dec 2008; 3(3-4): 115–126. 4. Ghanim H1, Sia CL, Abuaysheh S et al. An antiinflammatory and reactive oxygen species suppressive effects of an extract of Polygonum cuspidatum containing resveratrol.J Clin Endocrinol Metab. 2010 Sep;95(9):E1-8. 6. Williams RJ1, Spencer JP. Flavonoids, cognition, and dementia: actions, mechanisms, and potential therapeutic utility for Alzheimer disease. Free Radic Biol Med. 2012 Jan 1;52(1):35-45. 7. Cedars-Sinai Medical Center. “Plants’ Flavonoids Have Beneficial Effect On Alzheimer’s Disease, Study In Mice Suggests.” ScienceDaily. ScienceDaily, 8 May 2008. <www.sciencedaily.com/releases/2008/05/080507105646.htm>. 9. Rezai-Zadeh K, Shytle D, Bai Y et al. Flavonoid-mediated presenilin-1 phosphorylation reduces Alzheimer’s disease β-amyloid production. J Cell Mol Med. 2009 May;13(5):1001.